Spinal stenosis disability is the end result of many serious canal narrowing conditions. Disability is a sad state which limits patients physically and also creates negative emotional effects, such as decreased self-esteem, a lack of confidence and general depression. Luckily, disability caused by stenosis can often be successfully treated using appropriate surgical intervention, but only if the diagnosis is accurate and the operation goes ideally. For many patients, the diagnosis theorizing the stenosis to be the source of disability may be flawed, while others may suffer failed surgical procedures due to infection, scar tissue, iatrogenic error or other complications. In these poor patients, disability may be worsened by the failed attempt to treat the stenotic condition. This narrative details the state of physical disability that can be created by serious spinal canal impingement conditions or the treatments utilized to treat them. Patients who are disabled by spinal stenosis often seek benefits under workers compensation or governmental disability coverage, such as that provided by The Social Security Administration in the United States. 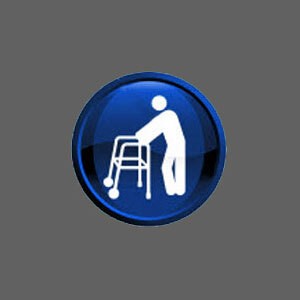 Patient may demonstrate inability to stand or walk. 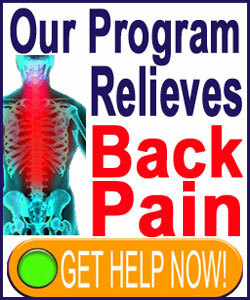 Crippling pain may occur virtually anywhere below the affected vertebral levels. Patient may suffer numbness or weakness anywhere below the affected level or in specific muscles or muscular groups. Patient may have general inability to work or do physical activity deemed typical to function normally in society or to fulfill job criteria. Although many patients have serious spinal stenosis conditions, not all are deemed disabled. Many patients who are declared to be able-bodied can not work due to their pain, while others with complete and declared disability still do work and earn a living, despite their pain. Like many conditions which possibly cause physical limitation and can make the victim eligible for benefits, the line defining who actually qualifies to be called disabled is quite blurry and subjective. This causes some patients who should receive benefits to go without, while others who should not qualify, manage to collect benefits unjustly. Is the system fair? Well, I guess that really depends on who is asked. As a former trial preparation investigator who saw claims handled poorly on both sides of the coin, I can provide an opinion that the qualifications to determine disability from stenosis, or any chronic back or neck pain condition, are truly skewed. If you are looking for specific advice on claiming disability due to your narrowed spinal canal condition, I highly recommend speaking to your attorney. However, the purpose of this article is not to focus on the legal aspects of disability, but rather to mention the often-neglected human face of suffering. Remember that many minor stenosis conditions may be blamed for causing pain mistakenly, thereby causing patients to suffer needlessly while pursuing contraindicated treatment, while the actual cause of symptoms remains untreated. Remember also that disability is psychologically affective to at least the same degree as physically, regardless of the actual source. Finally, remember that disability can be resolved successfully in many patients using appropriate spinal stenosis treatment options. Some patients can recover fully from even catastrophic canal narrowing issues and return to lead full and normal lives. So please, never give up.